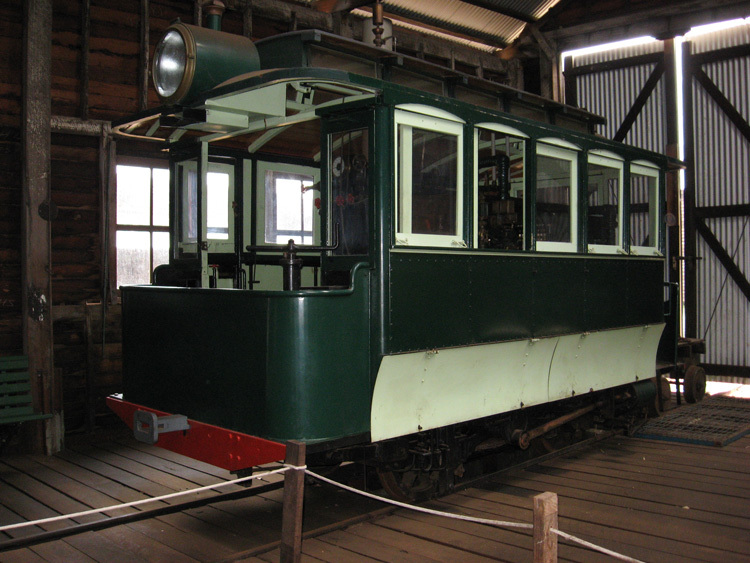 This view was contributed by Malcolm Cluett and shows the replica steam tram awaiting its next steaming day at Yarloop on 7 September 2008. 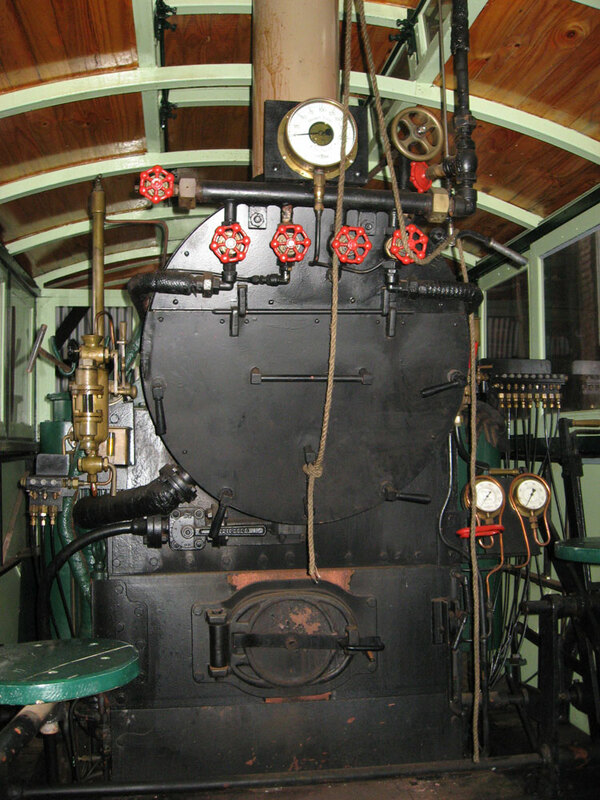 Here is a second view contributed by Malcolm Cluett and dated 7 September 2008, showing details of the boiler. 'Light Railways - Australia's Magazine of Industrial & Narrow Gauge Railways', Number 190, August 2006.